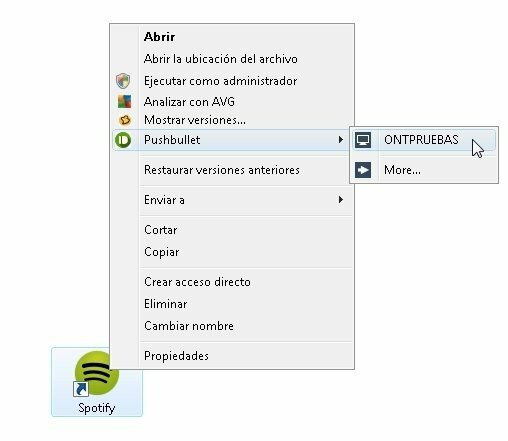 Sharing files with other devices or contacts from Windows is much easier if you download Pushbullet. 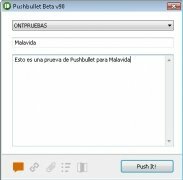 This tool will allow you to send anything from your desktop, by right clicking and accessing its context menu. 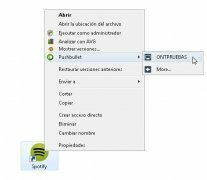 How to send files from the desktop? 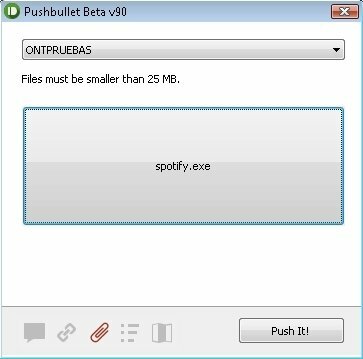 Once you've installed Pushbullet you only have to go to the file you want to share and right click on it. Once the context menu unfolds, you can select the device that you want to share it with. That's when a small window will open in which you'll be able to attach your files, images or any other document, as well as being able to insert a message. It couldn't be any quicker or easier. 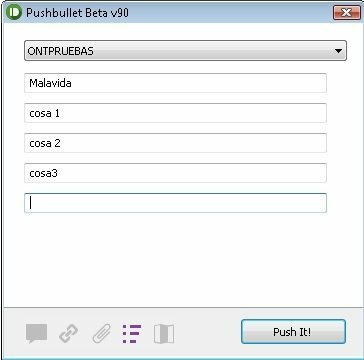 Send files to other devices from your desktop. Share links, lists and contact addresses. Possibility to attach files and documents. 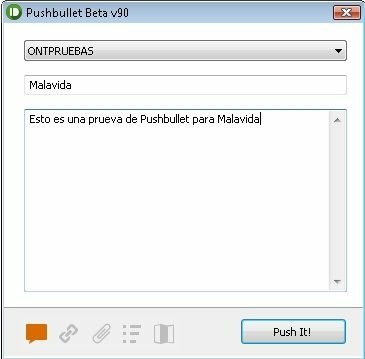 Pushbullet also allows you to show your phone's notifications on your computer screen. Thus, you can keep up with any update or matter that requires your attention, without having to check your phone every now and again. 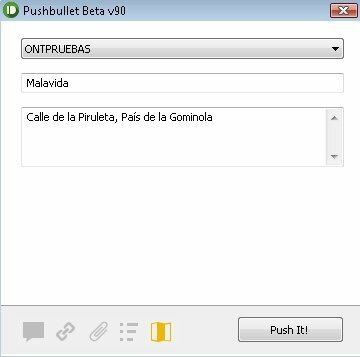 Download Pushbullet for free and improve the coordination of your devices. Requires a Google email account and that you authorize the application to use it. The files sent are limited to 25 MB. To be able to synchronize the application with the rest of devices, the latter has to be installed on them.